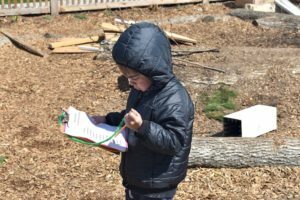 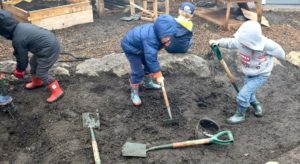 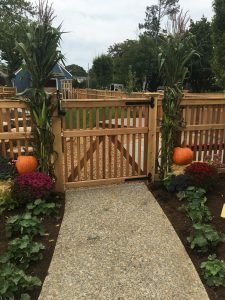 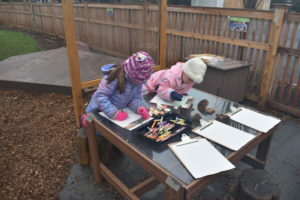 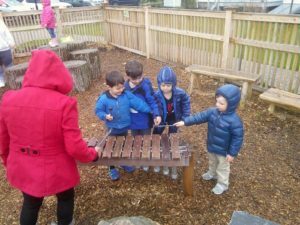 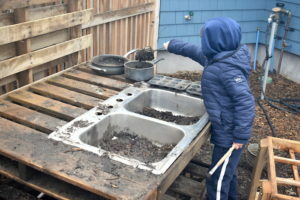 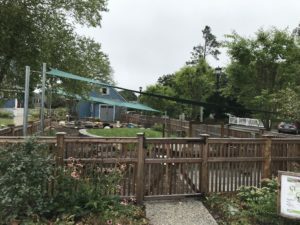 Our Nature Classroom provides children with endless opportunities to interact with and explore the natural world through play. 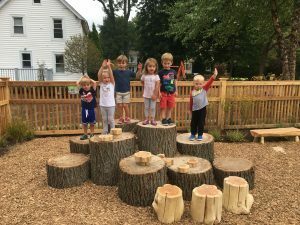 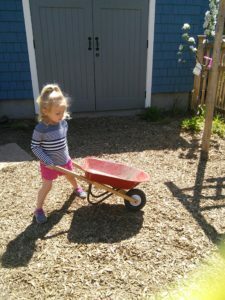 The classroom has received national coverage as a unique playground space. 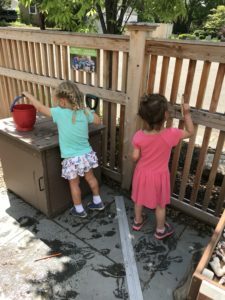 Painting the fence – with water!